Alcohol is an emotional painkiller, therefore, the link between bullying and underage drinking is no surprise. A 2012 study conducted at the University of Cincinnati found that bullying kids, and their victims, are more likely to abuse alcohol than kids not involved in bullying. It's a dangerous mix, especially when these troubled teens drink and get behind the wheel. According to the National Highway Traffic Safety Administration, car crashes are the leading cause of death for 15- to 20-year-olds, with more than a quarter involving an alcohol-impaired underage driver. The effects of bullying isn't something kids grow out of. Substance abuse often continues through adulthood, and can be traced back to bullying in its various forms. Kids drink to ease the pain of stressful bullying situations, whether it's happening online or in the high school locker room. Most teens don't have the maturity to consume alcohol in a responsible way, and the result is often drinking and driving, which can lead to tragic consequences, such as a vehicular homicide charge. According to DUI attorney Steven Kellis, this can carry a mandatory prison sentence, for instance, 3-6 years in the state of Pennsylvania, depending on the circumstances of the case. Public awareness of bullying has increased over the past decade with parents and educators attempting to crack down on the problem. A 2011 documentary film "Bully" showed the damaging effects of bullying on kids across the country, from teen suicide to relentless physical abuse. But bullying persists. According to the film, 13 million kids are bullied each year. Parents cannot rely on schools to resolve these problems, and should be aware of the risk factors. Symptoms such as unexplained injuries, skipping school or talking about suicide should never be ignored. Anti-social behavior can begin at a very young age, and sometimes parents don't understand their child's capacity for being hurtful to others. Bullying can often involve multiple adolescents who see a victim being attacked and join in on the perceived fun. The fact that one student can push another one around with no retribution makes other students think they can do the same. Many times this behavior begins while the primary alpha bully is young and manifests over time due to no punishment, often because the parents are unaware. This allows the bully to recruit help and think they are invincible, while the target of the bullying develops personal identity problems. Some parents actually do not care about the behavior of their children, and fail to discipline an aggressive bullying child. Socialization problems with peers will likely manifest by the teenage years, when experimentation with alcohol becomes common. It's important to understand that unchecked aggressive behavior exacerbates incrementally if it's not addressed when the parties are young. Bully-victims can also become aggressive, releasing their bottled-up feelings inappropriately, sometimes becoming bullies themselves. Many parents have trouble finding quality time to spend with their children. This often means that the television is the babysitter and the teenagers make their own decisions. Sadly, many choose alcohol and other drugs, which can result in various forms of legal trouble. Parents can be held liable when their teenage children have an auto accident while intoxicated. Personal attacks on social media sites, or cyber-bullying has also become a big problem. A digital trail of activity concerning harassment and defamation behavior can be used in criminal charges or civil lawsuits. It is important for parents to understand that personality development in a child begins early, and bullying victims can be damaged emotionally, leading to lifelong substance abuse. The bullies themselves can end up in legal trouble from a very early age. This issue is very serious for all involved, including the parents of all bullies and victims, because there is a likelihood of more trouble down the road. 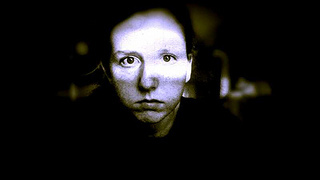 Ashlyn Haldeman is a freelance writer based in Atlanta. She enjoys covering lifestyle topics, especially health, fitness and the arts. She also blogs about legal and environmental issues. Research for this article was obtained from the website of Steven Kellis, a DUI attorney in Pennsylvania.